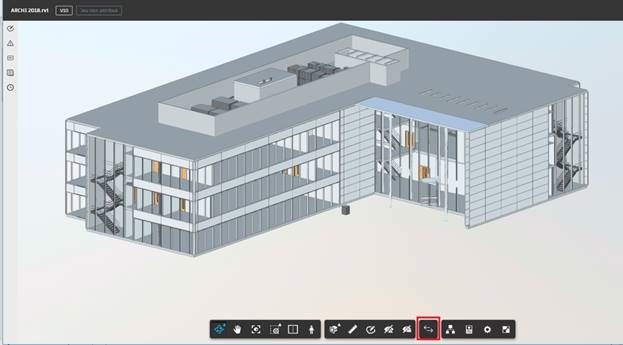 The Autodesk cloud platform called BIM 360 offers tools for comparing models. When you are a project manager such as a BIM Manager, often you are faced with two versions of the same file and manually and you "play" the game of seven errors. This tedious method can be used as part of a small project (and again) but in other cases, it becomes an impossible mission. 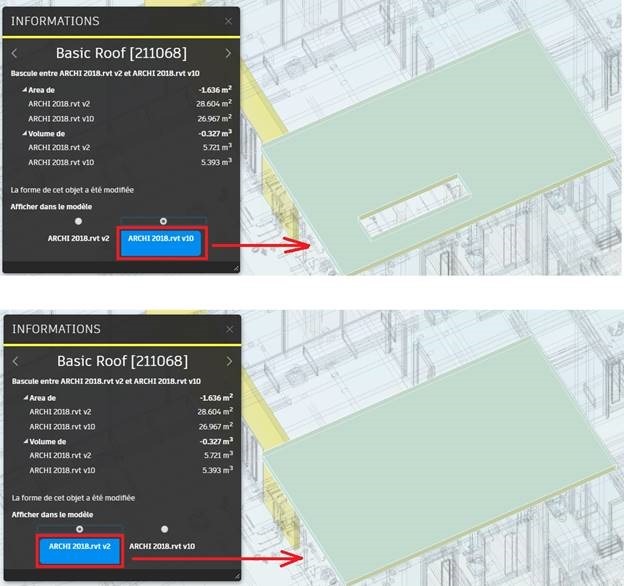 In this context, the Autodesk cloud platform called BIM 360 offers tools for comparing models. To be able to compare two documents, you must have at least two versions of it (it is a truism, but it had to be specified). 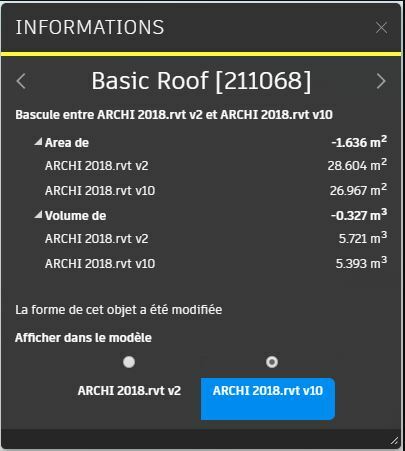 This information is available in the " Version " column. Nevertheless, it is also possible to compare different documents. I will detail you in the following explanations. In the window that appears, select the versions to compare, then click on the button " Compare "
Note: as I said in the preamble, it is in this window that you will be able to select another document by clicking on the " Change " button. After a few seconds, the interface displays the two superimposed planes representing the differences by a color code (red for version 2 and blue for version 1). Note: if the plans are not superimposed correctly, click on the " Cross " icon to make the adjustment. By clicking on the " Side by Side " icon, you have a juxtaposition display. Drag the blue splitter to move the overlap. 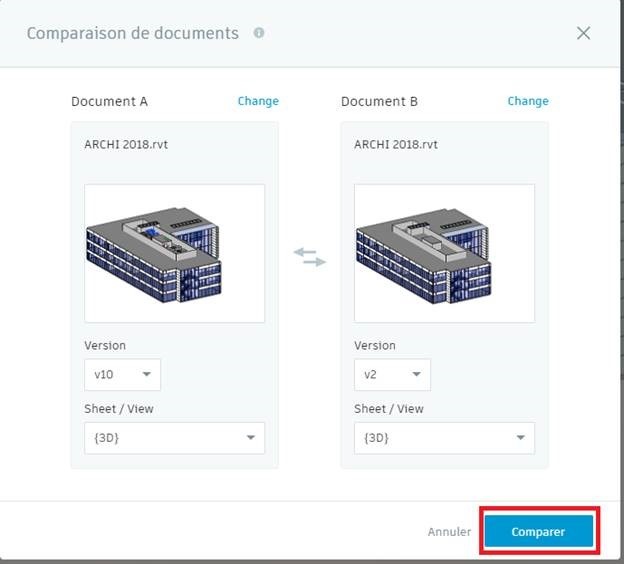 Tip: It is possible to compare two different documents (example RDC with the floor): in the Autodesk BIM 360 Docs interface, check two documents (same type), then click on the "..." icon and choose " Compare ». 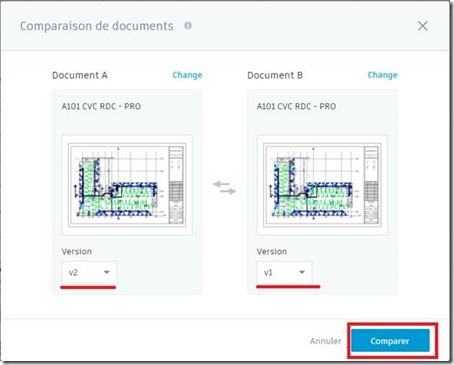 Same process as 2D documents, once the 3D document is open, click " Compare "
In the window that appears, select the versions to compare and click on the button " Compare "
Like the 2D sheet comparison in Revit format, you find the same interface. 1. 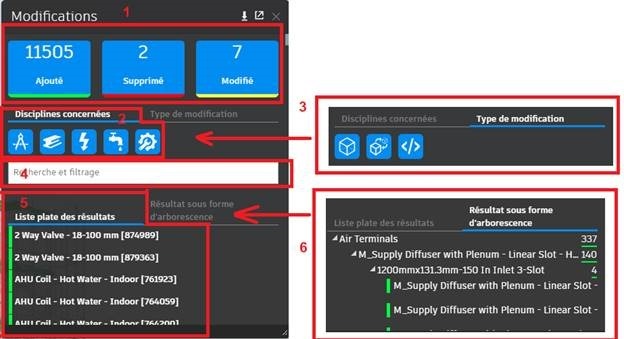 Change Type Filter: Select " Added ", " Deleted " or " Modified " to show or hide the results (click on the buttons). 2.Disciplines Concerned: Select a discipline to show or hide these results. Note: The list of disciplines displayed depends on the project. 3.Change Type: Show or hide shape changes, transformations, or property changes. 4.Search and filter: Enter search criteria. Previous search results are also available to refine the search. 5. Flat Results List: Display results as a single-level list. 6.The results are displayed as a tree view: Show results in the tree view to view the child and parent objects. Note: by alternately clicking the version buttons of the file, you can see graphically the changes (only if they are geometric and positioning). 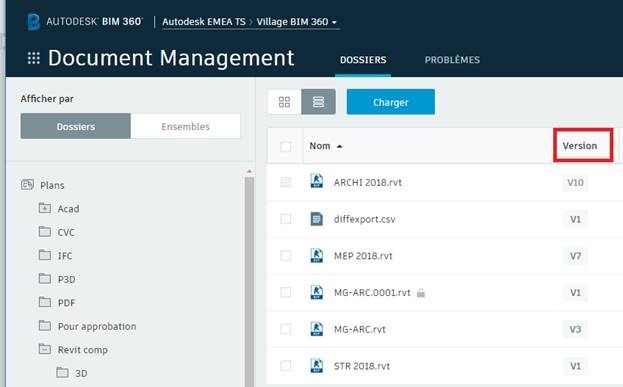 For those who wish to have more information about Autodesk BIM 360 Design, I recommend one of our Village BIM articles on the subject. When several "Packages" have been created / exchanged / used, it is possible to visualize the differences between two successive "pacakges" . 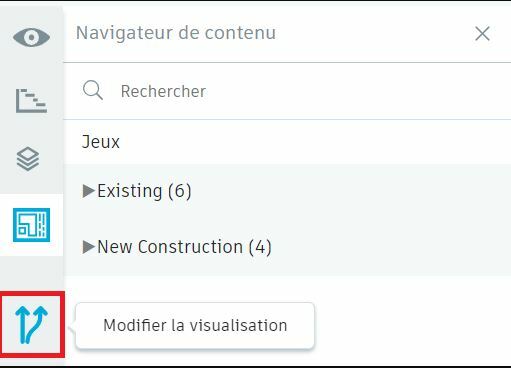 Click on the button " Edit visualization "
Note: You have the same comparison interface as in the Autodesk BIM 360 Docs part.